While Xiaomi inexplicably chose to schedule the official announcement of the Mi 9 on the same day that Samsung took the wraps off the Galaxy S10 family and the groundbreaking Galaxy Fold, Huawei settled for some good old fashioned Twitter trolling in an attempt to rain on its arch-rival’s parade. Although photography prowess is not always about the number of shooters mounted on the back of a phone (just ask Pixel 3 owners), it’s hard to deny Huawei’s trend-setting role when it comes to multi-camera arrangements. The P20 Pro was the world’s first phone equipped with three rear-facing cameras, the Mate 20 Pro is also an impressive imaging powerhouse, and now the Galaxy S10 and S10+ sport triple lens layouts of their own. Meanwhile, Samsung’s “Standard” Galaxy S10 lineup is none of those things, at least according to Huawei, so you may want to wait for the actual “next big thing” before buying a new phone this spring. Those are some generic potshots on Huawei’s part, which also took the time to highlight the marginal battery size advantage of the Mate 20 Pro over the Galaxy S10+. Seriously, guys, 100 mAh of extra juice is nothing. Even though I already ordered the galaxy S10+, flagship Huawei phones are definitely exciting to watch. did you see that pic above shoot by Canon 5Dmark2 ? So useless that they felt the need to bring it back on P30 Pro? It will have dual bayer RGBW sensor that is essentially a RGB sensor intertwined with a monochrome sensor. Theoretically they can even produce native monochrome image out of it if they really want to. It is Samsung that is scared right now, as Chinese companies are rapidly catching up in terms of product quality while also severely undercutting them. I don't see Samsung making cheap desperate ads against any of the Chinese companies. Meanwhile, these Chinese companies seem borderline paranoid mocking Samsung and Apple literally every opportunity they get. Lol you must be forgot when samsung talk s**t about iPhone notch and battery life. And i don't think these Chinese companies need to be paranoid about Samsung because in reality they starting to catch up to Samsung not only in terms of sales but also quality and features. For example even the lowly Xiaomi has their own unique implementation on foldable smartphone. They don't make any ads against Chinese companies, they do against Apple instead. How many Ingenious ads did they make, like 10? To me what Samsung did at that time definitely looked like a "cheap", "desperate" and "borderline paranoid" campaign. You forgot to add "for now" at the end of each of your statement. From design to camera placement, copying everything from Samsung and now mocking them. S10 is the best Android device ever created, no Huawei can beat it. Beat it with Mate 20 X, a 7.2 incher with 1080 resolution screen. Gimme a break lad. You mean the device that had a stylus which you had to buy seperate and there was no place to store it on the device itself?? Yeah right Good attempt. And can you use a stylus with S10? We aren't talking about Note 9 here. Oh so you want to compare S10 to Mate 20 X? Remind me which has the better 1440p display and before anyone says oh its not needed well tell that to Huawei and the Mate 20 Pro and Porsche editions. Which has the Ultra sonic FPs? S10 or Mate 20 X? Remind me again which phone has more Ram? More internal storage? Better UI? And i referred to Note 9 because they have more similarities since they phablets and have styluses. Note 9 and Mate 20 X are equal but S10 blows any Huawei device out the water. "From design to camera placement" When did Huawei ever copy Samsung's camera placement? "Samsung copied LG's camera placement" sounds more accurate to me. I knew someone would say this. 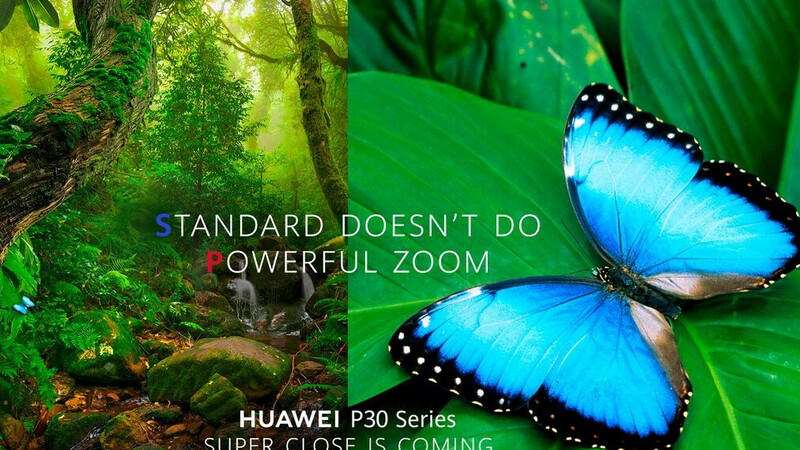 Huawei yesterday tweeted picture of View 20 with punch hole camera bragging that S10 copied that. Well, A8s with same punch hole camera was released way before View 20. Oh I didn't know that, could you show me the link if you don't mind? "This tweet is unavailable." They probably deleted it, makes sense people just roasted Huawei. I googled for articles that write about Huawei claiming S10 copied View 20 on Twitter and I could find none. You should've archieved it, if it actually existed of course. But if samsung copied LG So did Huawei? Years past and emui still looks like iphone's skeuomorphism. They can't even fix their age old auto brightnening displays problem. And their auto camera pictures, they all look like saturated watercolor with chalk for dark shades.